Has your kitty been coughing a lot lately? It could indicate a more serious problem. The most common cause of persistent coughing in cats is chronic bronchopulmonary disease, which encompasses conditions including feline asthma, chronic bronchitis, emphysema, chronic obstructive pulmonary disease (COPD), and chronic broncho-pneumonia. But a cough can also be a symptom of many other underlying diseases and disorders including heart disease and heartworm infestations. The occasional cough probably isn’t an issue. Coughing helps your cat clear irritants from his/her airways and prevents him/her from inhaling fluids into his/her lungs. But a cough that is persistent needs to be diagnosed and treated. It is important that you not give your kitty your cough syrup, ibuprofen or any human medications. 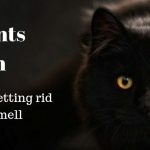 Even tiny amounts of over-the-counter medicines can be very toxic to cats.